Games developer Arc System Works and UK based publisher PQube Games once again join forces to bring European audiences another fighting game; and this time it is non-other-than the highly anticipated KILL La KILL – IF fighting game based on, and inspired by, STUDIO TRIGGER’S anime adaptation of the same name. 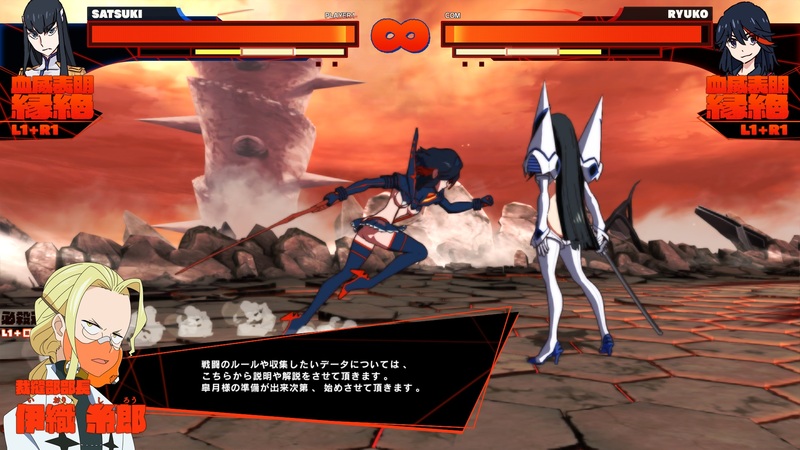 KILL La KILL – IF, which seems to be a 3D arena-styled fighting game in a similar design to CyberConnect2’s Naruto Ultimate Ninja Storm games, is currently being developed under the watchful eye of STUDIO TRIGGER, the team behind the original anime series, with both Hiroyuki Imaishi, and the scenario writer, Kazuki Nakashima, being involved with the production of the game; especially the cinematic sections which retell key events from the anime series. In addition to retelling key elements from the anime series KILL La KILL – IF will feature it’s own unique scenario known as ‘IF; with more details about this unique story to be confirmed at a later date. What we do know is that KILL La KILL – IF is a 3D fighting game featuring characters from the anime series as well as certain elements that will recreate the anime experience. Additionally, although it wasn’t announced in the press release, PQube Games have confirmed on Twitter that KILL La KILL – IF will feature both English and Japanese audio; with the English dub expected (assumed) to be the same voice cast as the original anime series. For now; KILL La KILL – IF is coming to Europe (including UK) and will be released onto the PlayStation 4, Nintendo Switch and Windows PC via Steam. More details will be revealed at a later date; but it is exciting news indeed for KILL La KILL fans.